Ever since Wilson Kiprugut burst onto the scene to win a bronze medal in the 800m at the Tokyo Olympics in 1962, middle and long distance running has increasingly been the dominium of the Kenyans. Of the top twenty male and female runners from last years' World Marathon Majors rankings, thirteen were Kenyan. Such is their reputation that there is now no marathon worthy of that name that doesn't see at least a couple of Kenyan runners at the start line. Invariably, at the finish those same athletes tend to be among the winners. It is a similar story at the Olympics. Kenyan runners won fourteen medals - six of which gold - in the twelve middle and long distance events held in Beijing. In the 3000m steeplechase, they won five of the six medals available. A similar haul is expected in London. There are few instances in sport where one nation has so consistently produced champion athletes at all levels. Inevitably, such sustained success leads to questions as to what is at the heart of it. 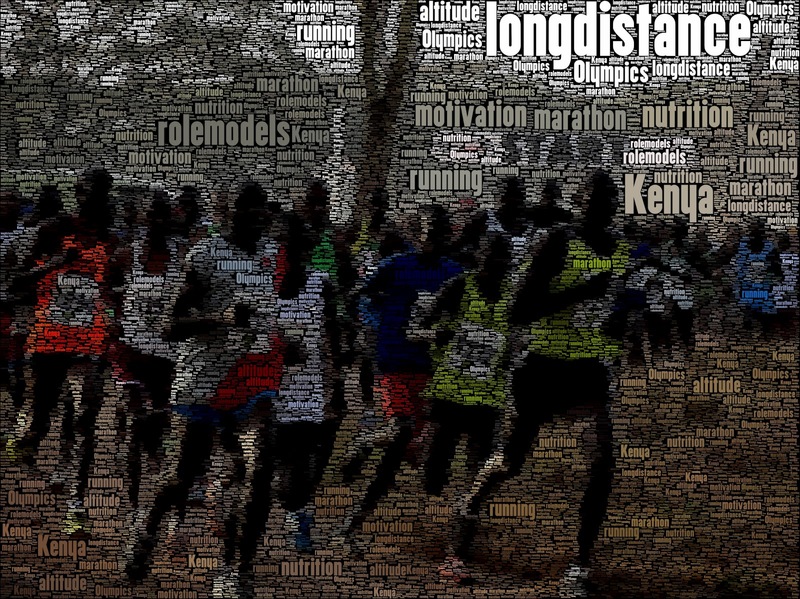 Key in the words "Kenyan Long Distance Running" into a search engine and you will be faced by tens of articles trying to answer that question. Adharanand's Thoughts: "When I hit the wall in a marathon, or even tire in a hard training session, part of me knows that ultimately it doesn’t matter. It is just a hobby. I like running fast, and I like running best times, but it won’t change my life. But for a Kenyan, particularly early in their career, winning even a small race can change everything – instead of a life of hard work and poverty, it can mean enough money to live comfortably, and bring status and respect from the community." "Of course, when we talk about the very elite level, the likes of Mo Farah and Paula Radcliffe, the motivation to succeed, to win world titles etc is the same for everyone. But in Kenya, even those further down the ladder of success are training and racing with an intense focus and determination." The Blueprint Interpretation: When it comes to choosing between two individuals with roughly the same amount of talent, ultimately it is the one who wants it most who will win out. That desire to achieve, when translated to hard work and single-mindedness, is an absolutely vital ingredient for any successful athlete. Similarly, any manager needs to ensure that his players are hungry for that success. Quite simply there can be no success without the right level of motivation. For the Kenyans, that desire to do whatever is needed to succeed is forced upon them by the harshness of their environment. Winning in athletics, even modest sums, can literally transform their lives from struggling to make ends meet to a level of comparative richness. With such a potential reward, the hard work put in is a very small price to pay. That is equally true in football but to a much lesser extent. A child growing up in England knows that he could become rich if he were to get to the top level of the game but, at the same time, he's also aware that he'll be pretty well off even if he doesn't make it in the game. The incentive is there, but it isn't quite as pronounced and the downside of failure isn't as sharp. The 'secret': keep the children motivated and hungry to improve. Adharanand's Thoughts: "The truth is that even if say one family decided to give their children an active childhood, living without a TV, car etc, the chances of them becoming runners would still be very remote. In order for the active-childhood-effect to influence the number of top runners in a country, everybody needs to be doing it. And that is never going to happen in the west." The Blueprint Interpretation: In Kenya, particularly in the Rift valley where most of the top runners come from, only a select few have commodities like family cars, televisions or game consoles. This means that everywhere they go has to be by foot and that recreation often takes the form of games that involve a lot of running about. The contrast with the west, where children are faced with every possible distraction aimed at getting them to permanently occupy their chairs, couldn't be starker. Therefore, a lot of the stamina and athleticism that used to come naturally to players because they spent their childhood running about now has to be fostered through specialised training programmes. The 'secret': introduce a training program that isn't just about football but which gives the children a good degree of aerobic flexibility. Adharanand's Thoughts: "The abundance of role models is a huge factor in the continued success of the area. It encourages people to take up running seriously, and gives them the belief – expectation almost – that they too can be a great runner." The Blueprint Interpretation: Kenya has produced so many fantastic long distance runners, and there are so many about, that it is only natural for those growing up to try and emulate them. Seeing those succesful athletes about makes them think "well, if they can do it then so can ""
It is the same in football. Cesc Fabregas came through the Barca system dreaming of taking Pep Guardiola's place in the team. No doubt, there is a whole generation who is looking to do better than Lionel Messi, Andres Iniesta or Xavi Hernanez. At Ajax, a number of the club's former stars are employed with the youth teams giving the kids coming through constant reminders of what the Ajax system has produced and, at the same time, reinforcing their belief that they too will make it. The 'secret': ensure that there are plenty of role models. Highlight success stories of players who have succeeded. Adharanand's Thoughts: "When a Kenyan stands on the start line of a race in Europe and sees a sea of white faces, he already feels that he has a good chance of winning, and this mentality can only help him. Likewise, the European runners look at the Kenyan runner and most think, “Oh, God, I don’t have a hope” – which doesn’t help their cause." The Blueprint Interpretation: There are countless examples across the world of sport (and beyond) that highlight the importance of confidence in any success; where that bit of added belief helps in making the right move at the right moment. There are just of many examples where that lack of confidence can kill any momentum from growing. The years of long-distance dominance tells the Kenyans that they are good so they approach any race feeling that they can win. It makes a huge difference to performance. Often, confidence is seen as a pretty individual state of being. Which is true but which does not mean that there is nothing that can be done about it. Most of Britain's highly successful track cycling team talk of the importance of Dr Steve Peters and how he helped them get over any non-pyhsical performance issues they had. It is the same on a team basis. Barcelona make passing the ball around teams look so easy but, obviously, it isn't. There is a lot of skill involved but there is also confidence: in their own ability and in that of those around them. There is a huge risk in passing the ball around midfield with defenders also pushing high up the pitch yet there is a belief that this is the way to play the game and what will deliver the best results. That belief filters down the system. Players at Barcelona's youth academy are taught to look for the pass and trained to deliver that passing with huge precision. Fundamentally there is a culture that encourages players to make a pass; to take a risk. It would be impossible for Barcelona's system to work if their players were instilled with a sense of fear; of not wanting to make a mistake. The 'secret': foster an attitude that breeds and generates confidence. Mistakes are to be tollerated - not berated - as long as lessons are learned. 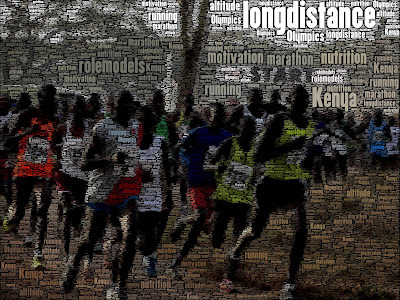 Adharanand's Thoughts: "The toughest races in the world – at some distances at least – are the local Kenyan races. So if you can come through those, beating hundreds of other Kenyans, the races in the west hold little fear." The Blueprint Interpretation: Competition is sometimes seen as a dirty word in so far as youth sport is concerned. But whilst that might be true up till a certain age, eventually they have to learn that in order to win you have to compete. It is through such competition that you really get a sense of what a player is capable of achieving and how they fare not only in the skill department but also how they handle the mental side of the game. Yet to really do that the competition must be against teams who are either as good or better than you. And the competition must be varied. Playing against teams that all adopt the same system doesn't allow you learn how to vary your approach something which is also a critical skill. The 'secret': challenge your players with tough competition. Adharanand's Thoughts: "The camps provide an intensely focussed environment for running – there are no distractions, not even family. Everything is about running and nothing else. It also provides a group of people to train with, which makes the training easier but also more fun, which is important, The athletes generally have fun in the camps and running is not a chore, but just a part of daily life which they all do without a single word of complaint – not even in jest." "Young athletes don’t generally enter the camps until they’re at least 18, although there are a few camps for junior athletes that run during the school holidays. The importance of running in Kenya’s Rift Valley is such, however, that some schools are almost like running camps for the talented young athletes, with school teams often training daily." 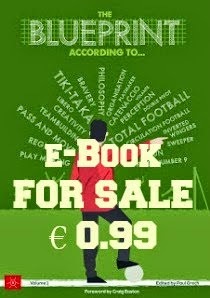 The Blueprint Interpretation: Although there are a number of similar examples in the world of football - Clairefontaine and La Masia being the prime ones - the real take-away from the Kenyan running camps is that it is important for the athletes to be focused and they are able to train without distractions. Such an environment is easier to achieve if it is completely controlled. The 'secret': do whatever possible to ensure that your players are focused and can train without distractions. Adharanand's Thoughts: "(Apart from ugali) they also eat a like of rice, beans and vegetables. It is a high carbohydrate diet with very little fat. While not perfect, it is a good diet for athletes. What is key, though, is that this is the diet eaten by everyone, not just the athletes. It means you have an entire population raised on an athlete’s diet – which means fewer talented athletes wasting their talent due to bad diet. It also means the athletes don’t feel bad or deprived because they are eating like this, it is just normal food to them." The Blueprint Interpretation: A lot of focus of those who look at the Kenyans to determine why they do so well is based on the food that they eat: ugali. This is a dish of maize flour cooked with water to a porridge like consistency. There is nothing special about it but this hasn't stopped people testing it in order to determine whether in it lies the secret of the Kenyans. It's secret, if you can call it that, is that it is a high carbs foodstuff that provides plenty of energy. The same can be said to the rest of the Kenyan diet. Meaning that the athletes don't have to change their eating habits - with all the struggle that might bring with it, draining away energy that should be focused elsewhere - when they get to focus their attention on their sport. The 'secret': ensure that your players appreciate the value of proper nutrition and make sure that they are provided with it. Adharanand's Thoughts: "Learning skills from an early age certainly helps, in most fields of life, and this (barefoot running) is one skill advantage the Kenyans have over virtually everyone in the west." The Blueprint Interpretation: There has been a lot of attention to the fact that for most of their childhood, Kenyans don't wear shoes and this too has been seen as their 'secret'. So much that a whole sub-industry seems to be growing round the barefoot running phenomenon. What studies there have been, however, show that this moving about barefoot helps in developing a more efficient - from a posture point of view - way of running. So much that even when they do get shoes, such a running style is already ingrained in the athletes and they do not alter it. Naturally, for football you would not expect any player to play barefoot. But there is still a lesson here, which is that some skills have to be learned at a very early age. Those same skills used to come naturally to those who spent their early childhood playing football in the streets but the increase in traffic means that this is no longer possible. That is why clubs like Manchester United have initiated a program where their youngest age groups train in a way that mimics street football so that these basics are learned in a natural way rather than coached into the players. It is the same with training sessions delivered using a smaller ball where the aim is, ultimately, to get those practicing to learn tricks that they will never forget because they become like a second nature. The 'secret': focus on fundamentals and giving players the right basics in as natural a way as possible. Adharanand's Thoughts: "It is a big advantage, yes, and impossible to replicate – unless you also happen to live at altitude. Kenya is not the only high altitude area in the world! Ryan Hall, for example, the top western-born marathon runner right now, hails from a high altitude area in the US. And where are all the marathon runners from the Andes, the Himalayas etc etc? Altitude is only one factor." The Blueprint Interpretation: Of all the factors that contribute to the Kenyan running success, this is the most difficult to find a football equivalent. What can be said is to find what environmental characteristics are unique to your situation and see whether they can be turned into an advantage. The Lesson: make the most of what you've got. If there is a question that the legendary Irish coach Brother Colm O'Connell, who has trained and developed some of finest runners, is asked over and over it deals with "the secret" of Kenyan running. Those who put forward that query are often met with a surprising reply "there is no secret". The Kenyan success isn't down to one factor but, as we have seen, to a combination of factors. Take away one element and the results wouldn't be so impressive. Equally - and importantly - they aren't the only elements that can contribute to success. There is, for instance, practically no attention given to sports science or psychology that are considered fundamental elsewhere. So, while it is important to look at what is successful elsewhere - including other sports - and learn from it,ultimately it is down to looking at what elements could contribute to your own success and bringing them together. Any attempt at like for like copying will deliver only one result: failure. Special thanks to Adharanand Finn for his patience and help in writing this article. 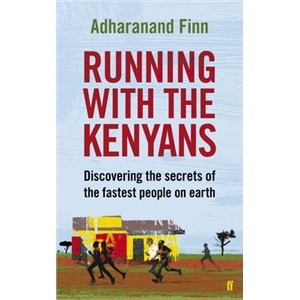 If you like sport - and you wouldn't be reading this if you didn't - his book Running with Kenyans is a must read. Enjoyed this article? 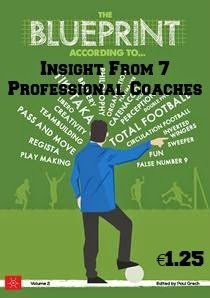 Discover more by joining the Blueprint for Football newsletter.